Videos demonstrating some of the key drills from our recent workshops (Drills, Drills 2 and Force Development) are now available to view. Drills such as these are a proven way of improving your running, but need to be be done regularly. Trials for the East Midlands team for the 2018 London Mini Marathon will take place at County Hall, Glenfield, Leicester on Sunday 4th March. 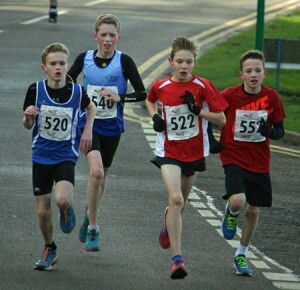 The first 6 in each race (U13, U15 and U17) will earn the opportunity to represent the East Midlands in the Virgin Money Giving London Mini Marathon (also the British 3 Mile Road Championships) which takes place on the morning of the Marathon itself; a great experience for any young athlete. Entry form. Entries close 1/3/18.